The recently released Halo Wars 2 is coming to Steam if Windows Central’s senior editor, Jez Corden, is to be believed. Corden said as much on Twitter overnight. According to the Windows Central editor, lower than expected Windows store-sales is the reason for the game to be released on Steam. Related Wccftech’s Best Strategy Games of 2017 – What the Hell We Fighting For? Developed by 343 Industries and Sega’s Creative Assembly, Halo Wars 2 was published by Microsoft and released back in February of this year for both Xbox One and Windows 10 PC. 343i and Microsoft partnered with THQ Nordic for a physical package release on Windows 10. 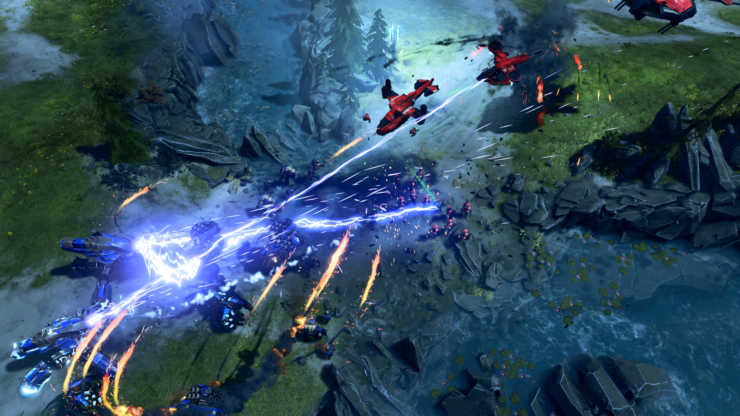 Halo Wars 2 is available now for Windows 10 PC and Xbox One, and if Corden is right, the RTS will soon be available through Steam as well. You’ll find our very own review of the game right here.